What do people usually do while watching TV, besides the fact that TV helps folks fall asleep? They follow the plot of their favorite show and simultaneously scrutinize actors’ clothing, interior design and other stuff around stars. TV illustrates lifestyles and people tend to wish the same ones celebrities have. That’s the background of the story where couch commerce begins. 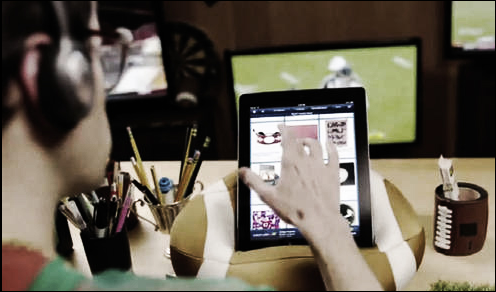 The term ‘couch commerce’, actively popularized by eBay and PayPal nowadays, refers to customers with tablets and mobile phones who do shopping right from their couches. Customers watch real-time TV programs and browse their “second screens” (mobile gadgets) to purchase whatever they find desirable on TV – the tie of a particular beloved actor, celebritys’ accessories or furniture from weekly viewed TV show. What do you think of couch commerce and how popular the development for it might be? Do you agree that whoever embraces this development now, will take the lead? Look forward to your comments below.